Do You Want to Sell Your Commercial Property Fast in Longview, Texas? We Buy Commercial Real Estate in Any Condition for Cash in Longview! Request a cash offer for your commercial property from our Longview investors by filling out this quick form or calling our local office at (877) 717-2087. After reviewing the details about your property, our team member will contact you to schedule a visit to come see your Longview property. After getting a more clear picture of your property’s condition, we’ll give you an all-cash, fair offer based on your local Longview’s market value. So, does Property Cashin actually buy my property fast? Yes, we actually buy your property fast! We’ve had several commercial property sales that get closed within one week’s time. A main focus of Property Cashin is to carry out transactions in a quick manner and get the sale profits into your possession. We emphasize speedy results and have helped many clients sell their commercial property quickly. Our services can be of aid to you whatever your reasons are for selling. We have a history of helping sellers who were looking at foreclosure proceedings, who’ve been the target of lawsuits, who’ve had unforeseen life expenses, or have had changes in their business and needed to upsize or downsize their property. Something else that helps us quickly complete the job is that we will buy your property in as-is condition. That means you can offload the property fast and don’t need to wait until something gets fixed. Once the deal’s done, you get paid, and can go back to your life feeling good that a major transaction is totally done! How am I paid when selling to Property Cashin? We pay our clients in cash. Once the deal gets done, you’re paid quickly and in cash. Super easy, no hassle cash in your pocket! What do I pay to sell my building quickly? When you use Property Cashin, you don’t have to pay anything to make the sale. Everything is bundled into one transaction, which simplifies everything. You don’t have to make any payments or meet with any real estate agents. Just turn everything over to us, let us complete the deal fast, and then get you your cash. Foreclosure is a scary word, and for good reason. It’s a painful, drawn-out, and confusing process. It’s something that’s not going to go away without taking action on your part. But just because there’s trouble doesn’t mean you’re alone. Property Cashin knows how to help. We can sell your commercial property quickly and get you cash for it. We are the fastest sellers of commercial property, which is critical in a foreclosure situation. Because if you wait until the foreclosure proceedings start, you are probably not going to get any money from your property. We not only sell your property, but sell it fast! The transaction can be started and completed before any foreclosure situation. Running a business is tough. Even good businesses can struggle to keep making money. If the economic tide turns against, the losses will just keep coming. If that happens, it’s time to think about getting out and making your next move. Your next move should be how to stop losing money and how to start making it again. What about selling your commercial property? Most commercial properties are huge expense items for a business. Turning expenses into cash is not only possible, it’s fast when you use Property Cashin. We buy your property quickly and also get you cash quickly. Losses don’t have to be unending. All it takes is some action on your part. Let Property Cashin do the rest. The sad reality is that lawsuits happen in today’s business environment. Even when you do things right, people can be out to take advantage of you. There will be legal expenses if you win or lose, and a loss might mean extra payment for damages. Where are you going to get the money to settle things? Let Property Cashin sell your commercial property and turn it into fast cash. We sell properties fast, which means you get paid fast. Fast cash to use for legal bills. You’ve got legal problems, we’ve got the solution by turning that property into the cash you need, and doing it fast. Sometimes partnerships go bad. This can happen in any aspect of life, whether it’s a personal partnership or business partnership. When there’s commercial property involved, that can add a whole new level of complication as you decide how to divide the property value. Why deal with the hassle of commercial property division if you can just skip it altogether? Property Cashin can sell your commercial property quickly. A quick sale that results in quick cash. Using Property Cashin is a fast and easy to turn problems into profit. It’s too bad that not all problems are this easy to solve! Sooner or later, all commercial properties are going to need major repair work. And we’re not talking about small things that be fixed in a week or less. No, eventually there’s going to be a job that might take a month or even longer to fix. That’s the problem with major repair jobs. Who knows when they will be done? And when’s the last time a repair job came in under budget anyway? That’s true even if you get a quality repair person, which is no easy feat. Property Cashin can take that issue off your hands. We’ll buy your property as-is. No worrying about repairs. The manufacturing, retail, and construction sectors in Longview are some of the strongest in Texas. What does that mean for you? You might have thought about moving to a bigger commercial property as you continue to grow your business. Whether you’re looking for a bigger or smaller commercial property, the longer it takes to complete a transaction, the more expensive it is. But Property Cashin can get this sale done in a week! A fast sale means lower costs, lower stress, and more cash for you? Why wait for payment? Get the money you need to move into that new property you want. Life is not always fair, and people get tough breaks from time to time. These bad breaks can be the result of a divorce or an illness, or a loved one who needs more care or attention from you. If you get a bad break, selling your commercial property can be the best thing to next. Using Property Cashin to make the commercial property results in a quick way to get cash. Now you’ve got resources you can use for expenses. In addition, selling your current property can give you more free time to care for yourself or loved ones. Commercial property values in Longview are rising. What does that mean for you? Unfortunately, it probably means more expenses. Rising property values bring with them higher property taxes and higher maintenance costs. Higher property values also mean more equity. Maybe it’s time to enjoy that rising equity and forget about all those rising costs. We can help you sell your commercial property, and get you the equity fast. Best of all, you get that equity as cash! Think about what you could use that equity for? There’s practically no limit. Pay bills, plan a dream trip to an island, organize a family reunion. It’s up to you! If you need to sell commercial property, fast, in Longview, TX, Property Cashin is here to make it simple for you. We buy properties for cash in hand. It does not matter what condition it is in. It can be in any condition. 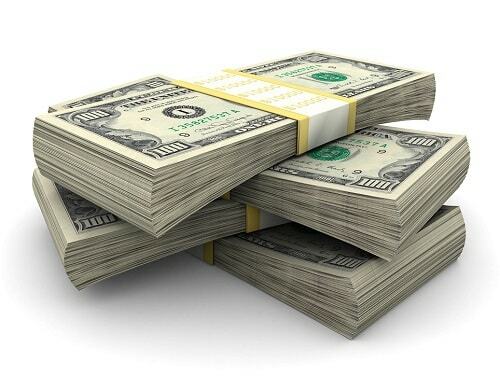 We will put cash in your hand for your commercial property, and we’ll do it quickly. If it is time to move on to a new business venture, or you have found a piece of property that better suits your needs, we can help with that. Whatever the case may be, we will happily give you the quick cash you need to move on to the next phase of your life. Property Cashin understands that your time is valuable. We’re a trusted name that has helped many people just like you. You don’t have time to wait for your money; you have other plans for it. So let us help you get to it.